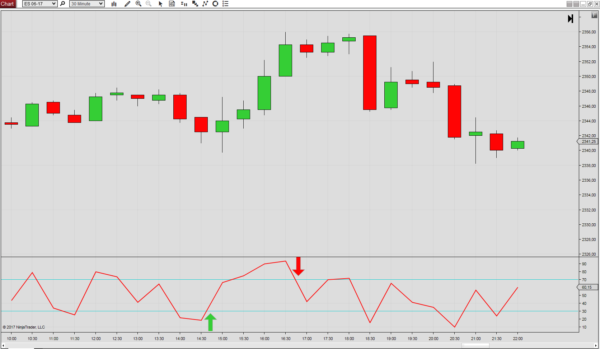 Created by Larry Connors, this indicator is a composite of three separate components. Two of the three components utilize the Relative Strength Index (RSI) calculations developed by Welles Wilder in the 1970’s, and the third component ranks the most recent price change on a scale of 0 to 100. The Connors RSI is a momentum oscillator with three components: The RSI, UpDown Length and Rate-of-Change. The output value between 0 and 100 identifies short-term overbought and oversold conditions.